hangri-La means 'earthly paradise'. Sri Lanka means 'resplendent land'. Together they make Shangri-Lanka, which to us simply means 'home'. Shangri-Lanka offers a holiday experience with a difference. No hotel receptions, no standard packages, no crowds of other guests, no time restrictions. 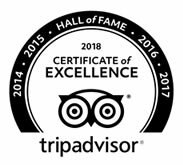 We welcome you to great hospitality and a genuinely personal service, with all the facilities you need whenever you need them. 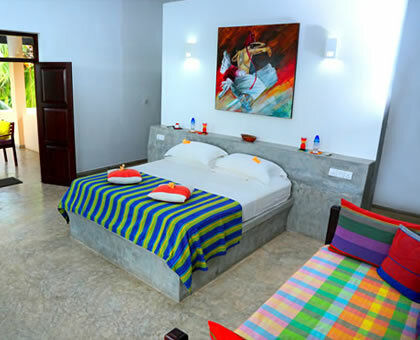 Unique boutique guest house situated in the heart of a traditional Sri-Lankan village. 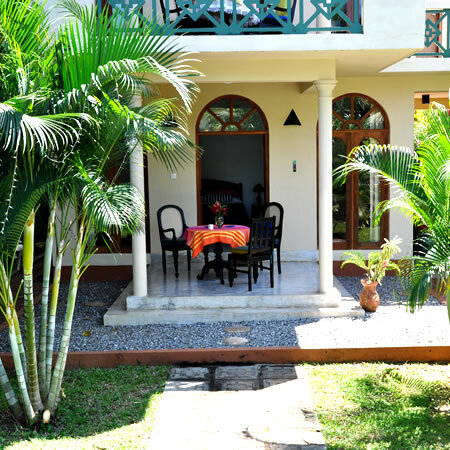 Surrounded by nature, yet only minutes from the magnificent Bentota beach. 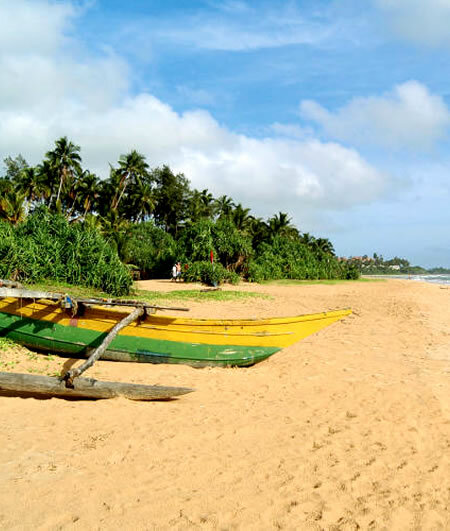 Come to Sri Lanka and Experience the culture of authentic Sri Lankan village life, where ancient customs and traditions blend with modern amenities and services. 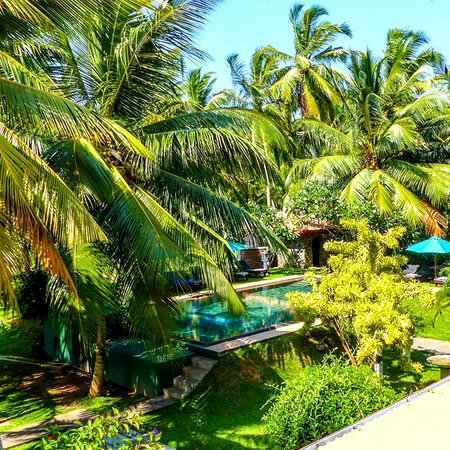 Experience the culture of authentic Sri Lankan village life, where ancient customs and traditions blend with modern amenities and services. 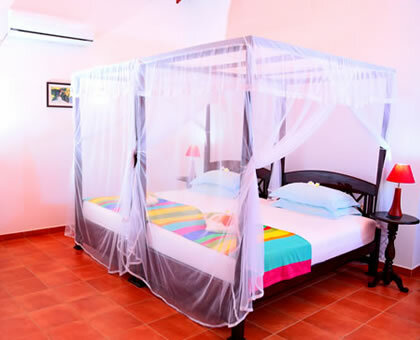 Individually furnished luxury suites each with air conditioning, ceiling fans, separate dressing area, mini-bar, hairdryer and large private balcony or veranda with table and chairs. Enjoy the sights and sounds of nature, especially the abundant birdlife. 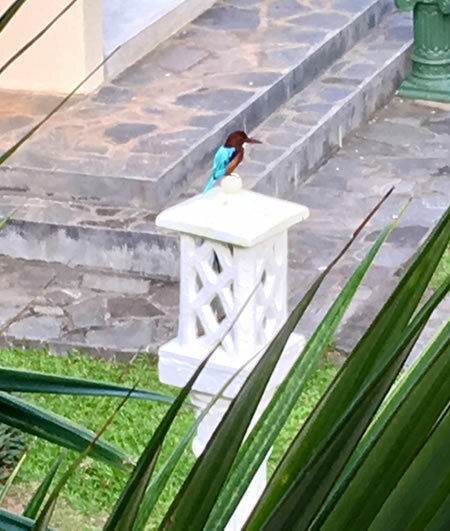 See kingfishers, woodpeckers and honeyeaters from your bedroom balcony, watch the monkeys and buffalo and many other species in the nearby fields. We offer a personal service that you won't find in larger hotels. We own and manage the villa ourselves, and live on the premises. 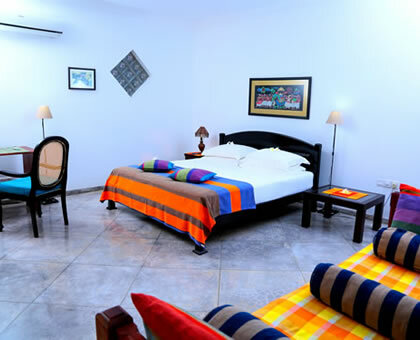 Our aim is simply to provide a perfect atmosphere for you to enjoy the holiday of your dreams. 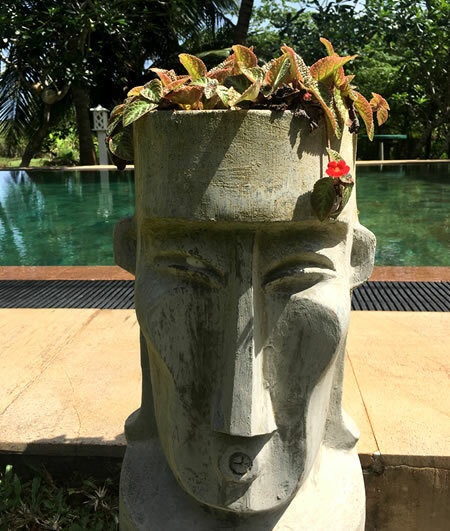 A taste of Sri Lanka : Eat, drink and be happy! 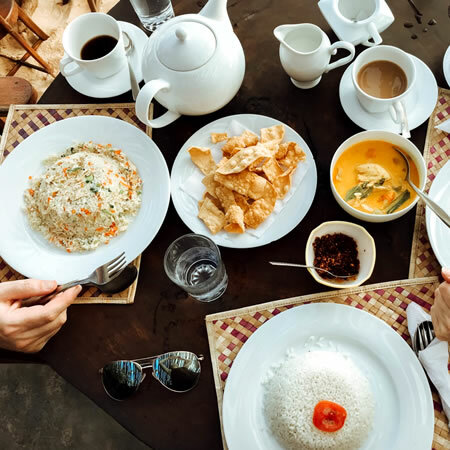 There are some delightful places to eat in Bentota, and we will be happy to recommend them and even take you there. But if you want the shortest possible trip back to your room afterwards, we can offer some pretty fine dining here at home! Is it combination of Eastern flair and Western sophistication-or just our love of food and delight in sharing our enjoyment with others? Try us and decide for yourselves! Enjoy the sights and sounds of nature, especially the abundant birdlife. 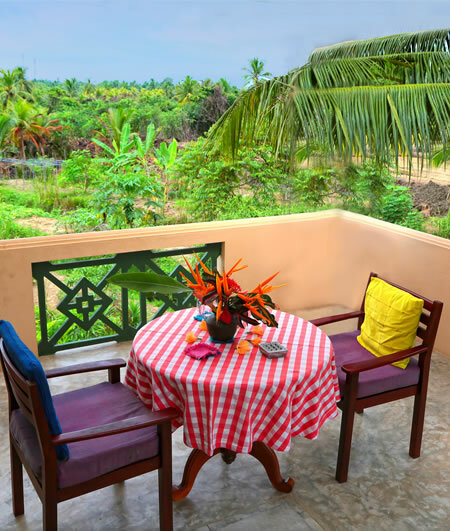 See kingfishers, woodpeckers and monkeys from your bedroom balcony, watch the egrets, honeyeaters, buffalo and many other species in the nearby fields.